I am Ola Peters, a digital-marketing expert. For over 7 years, I have been writing and speaking about digital marketing to help both organizations and individuals succeed. Last April, I decided to publish a book titled Connecting to Succeed: How to Get the Best of LinkedIn. I used a self-publishing platform, Dotpages. To my shock, Dotpages has contacted me over a trademark-infringement letter it received from LinkedIn. According to the letter, by printing the LinkedIn mark on my book cover without LinkedIn's due permission, I have allegedly infringed on LinkedIn's trademark. They demand I either withdraw my book from circulation or face legal action! I'm still shocked. Is it really unlawful to print LinkedIn mark on my book cover? The answer is YES; use of LinkedIn’s trademark on your book cover without permission is unlawful. LinkedIn mark is LinkedIn's registered trademark. Any person who wishes to use the mark on his or her work—such as books, film, and other materials—must first seek and obtain LinkedIn's permission. Without permission to use the mark, use amounts to trademark infringement. 'LinkedIn' mark and other marks belong to LinkedIn Corporation. The name 'LinkedIn', the LinkedIn logo, the 'IN' logo and 'InMail' are registered trademarks or trademarks of LinkedIn Corporation. LinkedIn Corporation's affiliates in the United States and other countries also enjoy rights over these trademarks. No other person is permitted to use any of these trademarks except in accordance with LinkedIn Corporation's guidelines or policy. Trademark law entitles LinkedIn Corporation to legally stop any unauthorized use of any of its marks. LinkedIn is entitled to sue you, get damages, and even apply for an account of profits (You will pay to LinkedIn's account all the profits you have made from the book so far. Absolutely!). The illegality of printing LinkedIn mark on your book cover without permission is not only by the working of trademark law but also LinkedIn's policy. Though trademark law generally entitles LinkedIn to restrict use of its LinkedIn mark, LinkedIn Corporation reserves the right to allow any person to use these marks in their publications or other works in accordance with its own guidelines or policy. By having a policy that controls use of its marks, this is what LinkedIn has done. LinkedIn has a policy that expressly prohibits unpermitted use of its mark for certain purposes. For the purpose of publication in books or printed materials, LinkedIn has a special provision that guides this. According to LinkedIn, it "does not allow the use of its logos or the name "LinkedIn" in the title or otherwise on the cover of books or other publications without prior written permission of LinkedIn." LinkedIn requires that any person who is "interested in using the LinkedIn name or logos in a publication" should request permission. Request for permission can be submitted by using LinkedIn's Request for Permission Form (available on its brand-policy website). Is LinkedIn's trademark restriction the standard amongst all social media platforms such as Facebook and Instagram? Generally, you are prohibited from using trademarks belonging to these social media platforms in merchandize. This means you can't lawfully print them on any products for commercial purposes. Apart from the prohibition above, each social media platform has its policy and guidelines on use of its trademark by third parties. Facebook, for instance, does not say anything about use of its mark in books or printed materials, but it warns that when using its 'F' logo, you "[d]on’t make it the most distinctive or prominent feature of what you’re creating". But for use in TV and film, you must request permission. Instagram also has guidelines for use of its logos and name. Regarding use for print, it restricts this to print larger than A4 size. According to one of the guidelines on Instagram's brand-policy page, "[o]nly those planning to use Instagram’s assets in any broadcast, radio, out-of-home advertising or print larger than 8.5 x 11 inches (A4 size) need to request permission. To be on the right side of the law, it is best to carefully read these policies and guidelines. When it comes to publications, always consider that you might have infringed on intellectual property. Do not fail to get help when you still can. This is vital. To enable you make the best decision for your book or subsequent books and avoid demanding love letters from LinkedIn's lawyers and other lawsuits, you may consult an IP lawyer or law firm to professionally guide you. 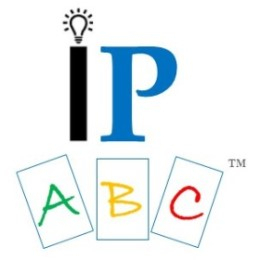 IP ABC wants your book to be a bestseller, not a bread winner for lawyers when you find yourself in the box.